The early eruptions of the Mount Tarawera volcano had built up a series of rhyolitic flows and domes. On June 10 1886 a series of basaltic eruptions left a chain of craters forming a spectacular rift 8 km long across the mountain. 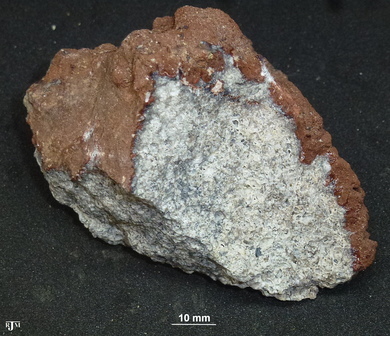 Basalt blasting through the older rhyolite layers produced an unusual type of volcanic bomb having a white core of glassy melted rhyolite and an outer skin of black basalt. This 1886 eruption had devastating effects, killing 120 people and destroying the famed Pink and White terraces. The description of the eruptions sound like the end of the world. There was little forewarning, with only earthquakes up to one hour before the eruptions, heralding the event. Within a few hours lava was erupting from craters the full length of the mountain, with an ash cloud up to 10 kilometres high. Shortly, Rotomahana just to the south-west began erupting as well, after a severe earthquake, then Waimangu further south-west erupted. Volcanic activity extended a length of 17 kilometres. Near the sources of the eruptions, ground hugging turbulent hurricanes of mud, ash, and steam swept over hills 360 metres above the Rotomahara crater floor, travelling 6 kilometres to the west. The ash cloud was lit by lightning and fireballs, while strong winds flattened trees, surrounded the area with suffocating gas, ash falling metres deep, and darkened day into night to the north, which was the prevailing direction of the ash cloud. 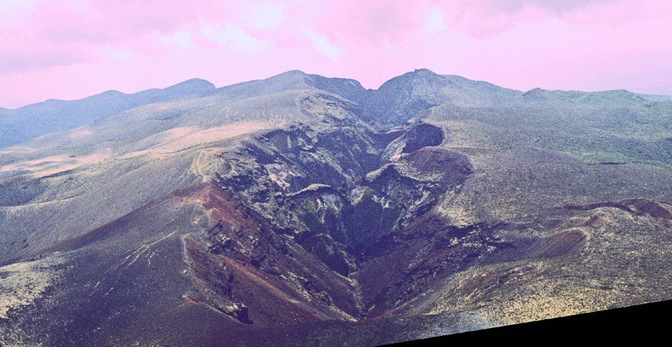 This is considered a small eruption in the history of the Okataina Volcanic Centre. Along the Mount Tarawera (1284 metres) rift, the Tarawera basalt is exposed as red and black scoria 20-60 metres thick, contrasting with older grey and white rhyolite lavas. 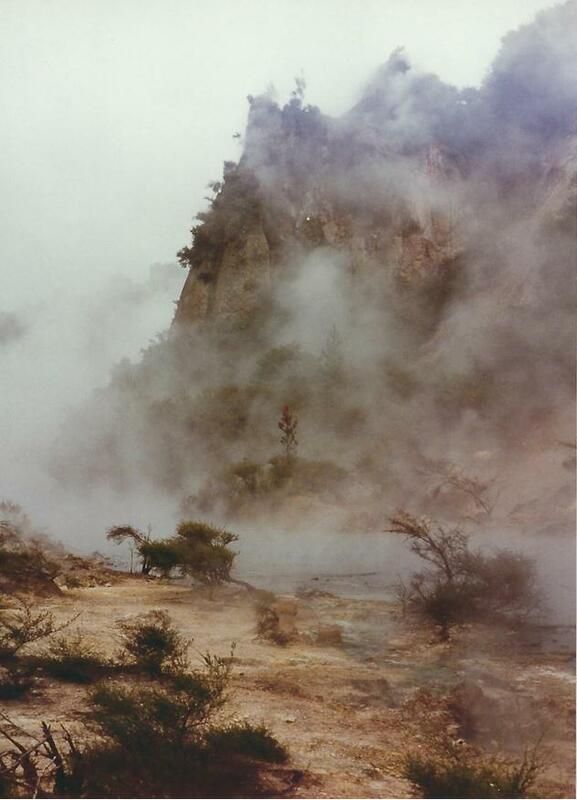 Weak steam vents remain around the crater, although greater thermal activity can be visited to the south-west at Waimangu, and Waiotapu. 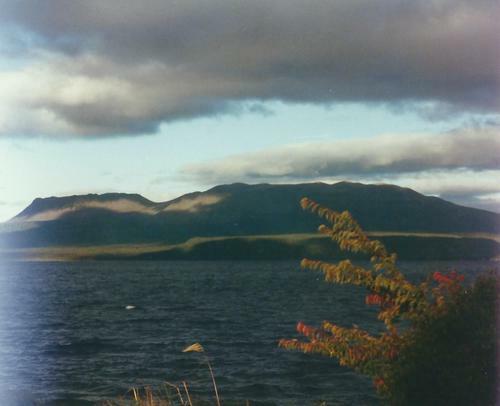 Mount Tarawera itself is difficult to visit, with no easy access, barring a helicopter. The top of the mountain contains thirteen domes, of which hypersthene (orthopyroxene) is an important constituent. 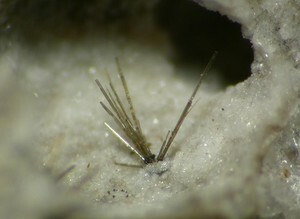 Enstatite photographs seen on Mindat for the location are not unreasonable, as enstatite is the magnesium end member of the enstatite-ferrosilite series, with hypersthene noted as a common intermediate member. There are four types of rhyolite showing at the top of the mountain. 1) Hornblende-biotite rhyolite, grey biotite with large green and brown hornblende crystals, with quartz and plagioclase in a pumiceous matrix. 2) Hypersthene rhyolite with variable colouring, hypersthene and plagioclase with minor hornblende, some magnetite, quartz rare, in a ground mass of pumice or obsidian. 3) Hypersthene-hornblende rhyolite of pink basaltic hornblende, and hypersthene with quartz and plagioclase. 4) Biotite rhyolite as pink, grey or white biotite, minor hypersthene, large quartz and plagioclase crystals, in a pumiceous to spherulitic groundmass. 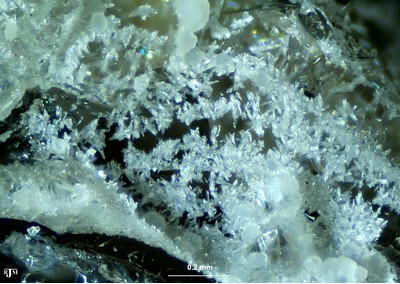 The rock unit may contain vesicles lined with tridymite. 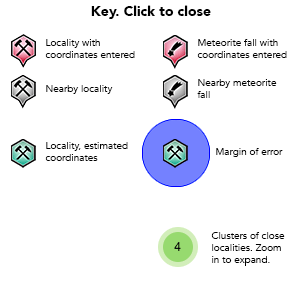 In general quartz crystals may be found with obsidian, cristobalite in vesicles, and tridymite in vesicles found near dome centres, as clear euhedral prisms, with wedge shaped twinning, and may completely fill the cavity. Plagioclase as glomeroporphyritic clusters, sometimes accompanied with ferromagnesian minerals, with twinning (albite, Carlsbad-albite, pericline-albite), and zoning ubiquitous, and inclusions common. 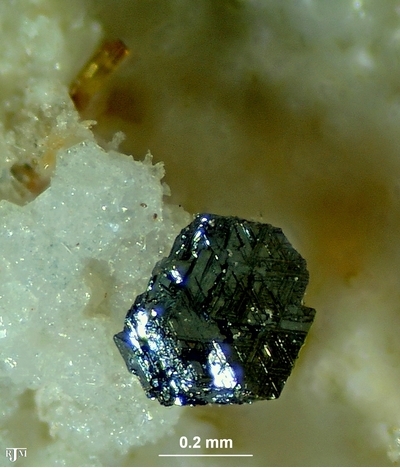 'Normal' biotite found at the dome margins, euhedral, often with inclusions of apatite, zircon, and rarely hornblende. 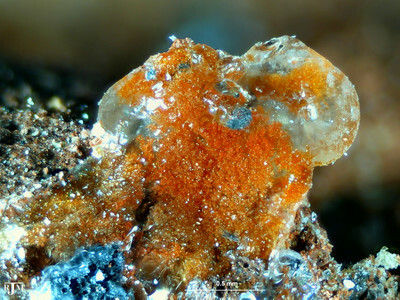 Ferroan biotite is found at dome centres. Hornblende pervasive but only in small amounts, as pale, green, brown, and basaltic types. 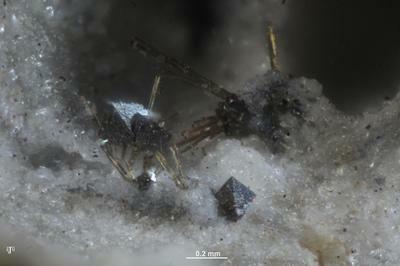 Orthopyroxene (hypersthene) common in hypersthene rhyolite, as small euhedral and subhedral crystals, containing numerous inclusions of magnetite and sometimes apatite. Determined as end member enstatite on Mindat photographs. 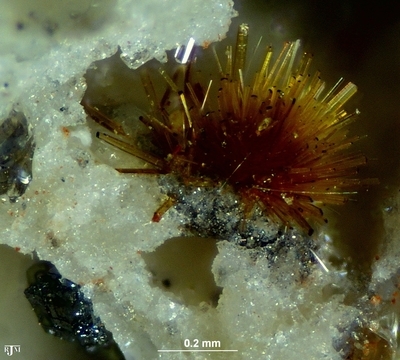 Magnetite is ubiquitous as small euhedral and subhedral crystals and inclusions, found on the dome margins as steel grey, and dome centres oxidised to red, and often associated with leucoxene where the rocks have been hydrothermally altered. 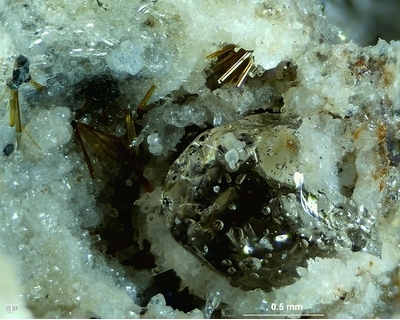 Apatite is rare as small prism crystals enclosed in biotite. Zircon is common enclosed in biotite crystals as small prism crystals. Reference: Cole, J.W. (1970) Petrography of the rhyolite lavas of Tarawera Volcanic Complex. New Zealand Journal of Geology and Geophysics, 13:4, 903-924. Reference: Hiess, J., Cole, J.W., Spinks, K.D. (2007) High-Alumina Basalts of the Taupo Volcanic Zone, New Zealand: Influence of the Crust and Crustal Structure. 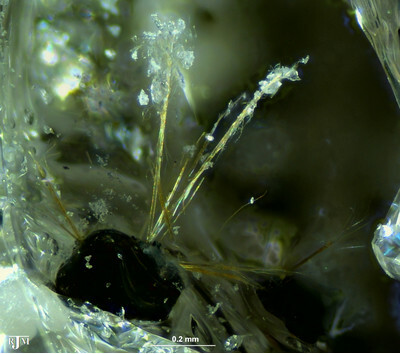 New Zealand Journal of Geology and Geophysics, 50(4):327-342. Reference: Hiess, J., Cole, J.W., Spinks, K.D. (2007) High-Alumina Basalts of the Taupo Volcanic Zone, New Zealand: Influence of the Crust and Crustal Structure. New Zealand Journal of Geology and Geophysics, 50:4, 327-342. Reference: Cole, J.W. (1970) Structure and eruptive history of the Tarawera Volcanic Complex. New Zealand Journal of Geology and Geophysics, 13:4, 879-902. Description: Rhyolite lavas, domes and pyroclastic deposits. 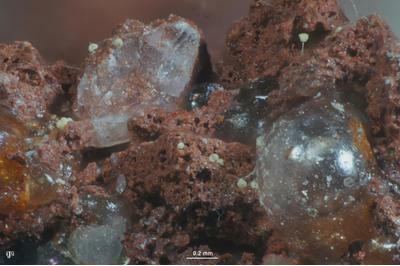 Description: Crystal-rich biotite bearing rhyolite lava; variably with lesser pumice and breccia as a carapace. Cole, J.W. (1970) Petrography of the rhyolite lavas of Tarawera Volcanic Complex. New Zealand Journal of Geology and Geophysics, 13:4, 903-924. Cole, J.W. (1970) Structure and eruptive history of the Tarawera Volcanic Complex. New Zealand Journal of Geology and Geophysics, 13:4, 879-902. Thornton, J. (1985) Field Guide to New Zealand Geology, 226 pages. Hiess, J., Cole, J.W., Spinks, K.D. (2007) High-Alumina Basalts of the Taupo Volcanic Zone, New Zealand: Influence of the Crust and Crustal Structure. New Zealand Journal of Geology and Geophysics, 50:4, 327-342.